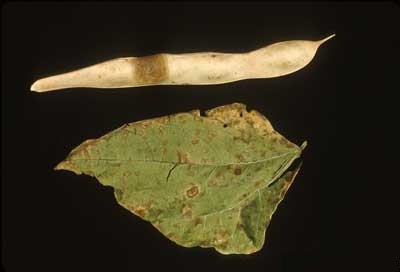 Brown coloured angular spots of different sizes and shapes appear on the leaves. The lesions are surrounded by deep brown margins. 3. Black colored growth of the fungus appears on the spots. Under severe infections the infected parts may dry up and shot off.